In the modern era, we are heavily dependent on technology. Many of us couldn’t get through our busy schedule without a laptop or a notebook by our side. If you’re looking to purchase a portable computer, it’s time to find out the difference between a laptop and notebook and discover the best place to purchase them. When it comes to a laptop and a notebook there isn’t a significant difference between the two products. The main difference is in weight and size. Traditionally, a notebook used to be slimmer and lighter then a laptop. However, with the rapid advances in technology, it can be hard to tell the difference between the two. Now that we’ve gotten that out of the way, here’s the most important part. Where to buy a lightweight, compact, and powerful laptop computer? 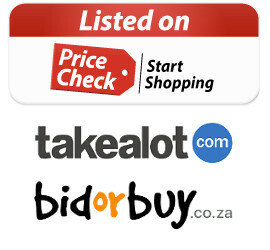 We have a wide selection for sale here, there are also great deals available on online shopping platforms such as Takealot, Bidorbuy, and much more. Online you will find an assortment of different brands and styles available for competitive prices. If you’re looking for a laptop or a notebook on a budget, try searching online discount shops, pc part stores, or classifieds. You can also purchase many of the major brands directly from the manufacturer.